There is an unwritten rule that sports reporters simply do not root for a sports team or player while covering an event. Admittedly, this is difficult. A life-long Bostonian covering the Super Bowl February 1st in Glendale, Arizona may have a difficult time sitting poker-faced as Tom Brady and the New England Patriots take on the Seattle Seahawks. And an Argentinian reporter in Brazil covering the 2014 Germany vs. Argentina World Cup Finals may just be tempted to put on a light blue shirt to go with her light white slacks. For me, covering the US Open Tennis Championships each year, and more recently, reporting from the Israel vs. Argentina Davis Cup matches in Sunrise, Florida pose similar dilemmas. 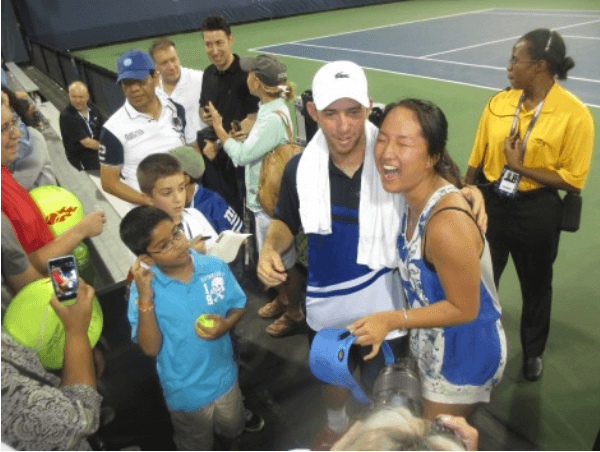 How is it possible not to cheer for Dudi Sela just after midnight when he outlasts an opponent in the 5th set on the outer courts at the USTA Billie Jean King National Tennis Center in Queens, New York? 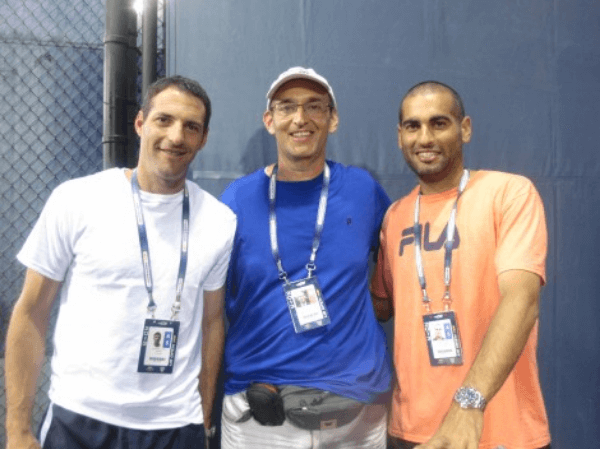 How can I not be moved to clap — or cry — when Andy Ram is lying on center court in what may be his last match ever, as he and partner and friend, Jonathan Erlich win an epic Davis Cup doubles match against the Argentinians? Like that Argentinian reporter at the World Cup, I am careful not to put on a royal blue shirt to go with my white shorts — lest anyone think I am partisan. But I am. Perhaps it is a sense of landsmanschaft — pride in a member of the tribe, usually an underdog, competing on the world stage. I feel it in my kishkes when Julia Glushko or Shahar Peer make a great shot, or when Amir Weintraub makes it through the qualifiers, in to the main draw of a prestigious tournament. I hold it together until I get to the media center, to interview the players. While remaining professional, the Israeli players sigh a sigh of relief when I offer to do the interview in Hebrew, and when I tell them which Israeli or Jewish publication I am writing for. 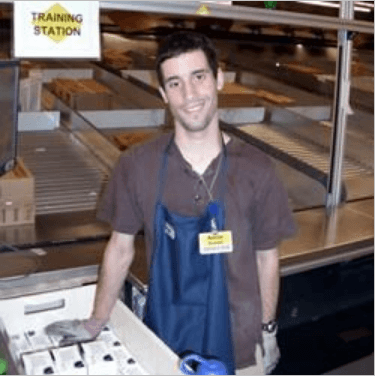 We move from questions about the just-completed match, to traveling the world as a Jew and Israeli, to “where will you be for Rosh Hashana.” We are fellow travelers. In 2013, Israel was about to compete against Belgium in the World Group of the Davis Cup Play-Off, to be held in Antwerp, just one week after the US Open. 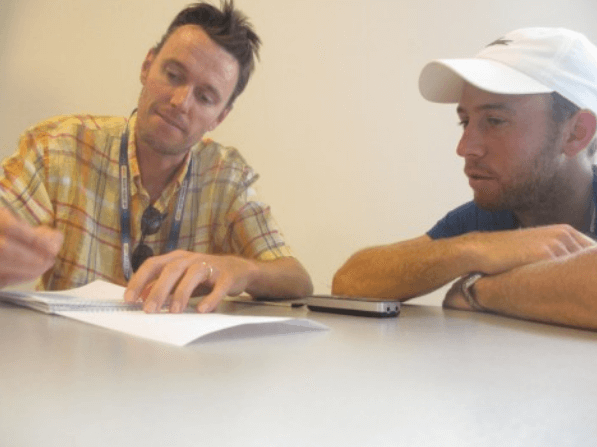 A Belgian reporter and I requested a US Open post-match interview with Dudi Sela. Players are required to honor such requests. After I asked my questions, the Belgian reporter asked a series of questions — about the upcoming tournament, likely match ups, and about the timing of the match; the Israel Tennis Association had just received at $13,000 fine for refusing to play its match on Yom Kippur. The reporter was even more confused. At that point, Sela turned to me and asked for help explaining Yom Kippur. 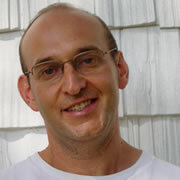 I took off my tennis writer’s hat and put on my Jewish educator’s hat. I explained Yom Kippur and the range of observances on that day by Israelis and Jews around the world. Now he was getting it, and Sela was so appreciative! That same year, I was out to dinner with family in New York City. Several blocks from the restaurant, I spot a blonde woman in a green dress with a male companion. She spots me and smiles. My curious family wonders why she comes up to me to give a hug and kiss—and speak to me in Hebrew. “That is Julia Glushko—I just interviewed her today for a Times of Israel article!” I am not sure that professional athletes from other countries stop to greet reporters in the street. 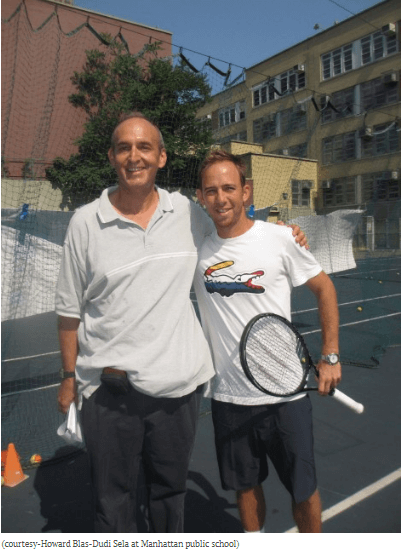 I have since bumped into Dudi Sela many times, in many settings. I have observed him sticking around to sign autographs and pose for pictures for anyone who asks. And I have seen him show up at Israel Tennis Center sponsored clinics for poor children in New York. He is a real mensch, and I feel proud. I may try to hide my pride at matches, but I—and the players—feel a strong connection with fellow Jewish and Israeli-loving people. I am not privileged to be Down Under this week in Melbourne covering the Australian Open tennis tournament. But lucky fans and reporters will witness something never seen in professional tennis—a first ever match up between Israeli Dudi Sela, 29 years old and currently ranked 106 in the world, versus Spaniard Rafa Nadal, 28, the number 3 player in the world. It is amazing they have never played since both have been at it for a long time. Nadal turned professional in 2001 and Sela in 2002. What are the odds? Nadal has won 64 titles including 14 Grand Slams—and has earned $71 million; Sela has earned $2 million over the course of his career but has yet to win a major title. So who is a Jewish sports reporter to root for? The landsman you say? Which one? In 2013, Simcha Jacobovici carefully argued in “Rafael Nadal: A Jewish Story?” that, perhaps, Rafael Nadal of Majorca may descend from Jews! He may be a converso. While he flat out denied this when I asked this question at a US Open press conference, it is possible that Nadal either felt uncomfortable addressing the question in this forum, or he simply did not understand the question as it was posed in English. For now, I’m rooting for Dudi Sela in Friday’s 3rd Australian Open round match. But, I hold out hope that, perhaps Raphael Nadal will one day discover he is Jewish and may even make Aliyah and play tennis for Israel. May the best Jewish man win!